With summer officially under way, there are a ton of things happening throughout the Pacific Northwest. You can find them in our event listings and carefully culled Staff Picks. SPORTS & OUTDOORS | There are so many great hiking options in the area, it can be tricky to know where to go, especially if you have some kids along. The South Hill Library tonight is hosting a free discussion on Scenic Family Hikes Monday at 6:30 pm. FOOD & DRINK | Liberty Ciderworks is hosting a Cider Appreciation Class, and you can taste 12 different styles from both Liberty and other cideries around the Pacific Northwest. WORDS | Spokane Poetry Slam Grand Champion Lauren Gilmore is releasing her first full-length collection of poetry with a celebration at The Bartlett that also includes Kris Dinnison, Eliza Johnson, Hannah Reader and Laura Read. 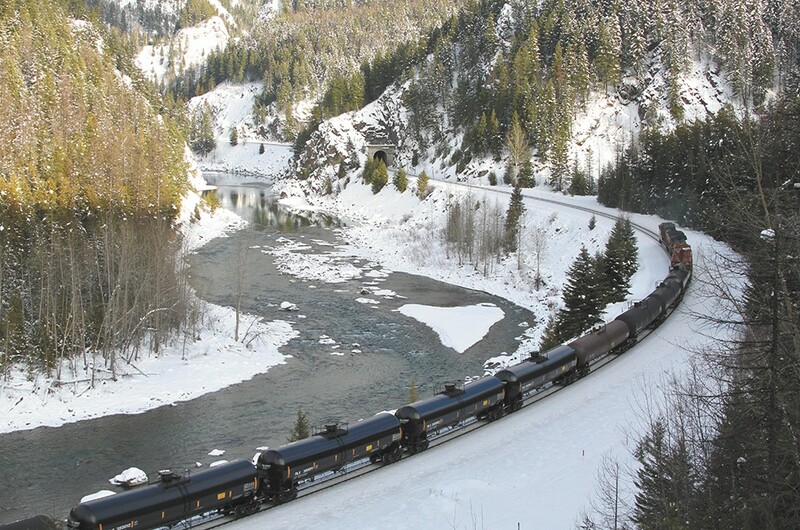 COMMUNITY | If you're concerned about oil trains passing through the area, Sandpoint is hosting an Oil Train Forum sponsored by the Sightline Institute, Idaho Conservation League, and Lake Pend Oreille Waterkeeper. COMEDY | The Blue Door Theatre adds to its repertoire of comedy efforts with Sideways Cinema, featuring on-the-spot over-dubbing of a bad old sci-fi flick. COMEDY | More laughs are in store at Uncle D's Comedy Underground, where a tribute to Terry Canfield is going down on Thursday. He was a Thursday open-mic regular and a local favorite. THEATER | Neil LaBute's Reasons to Be Happy continues its run for one last weekend, starting on Thursday at The Modern Theater Spokane. Read our review of the show here. 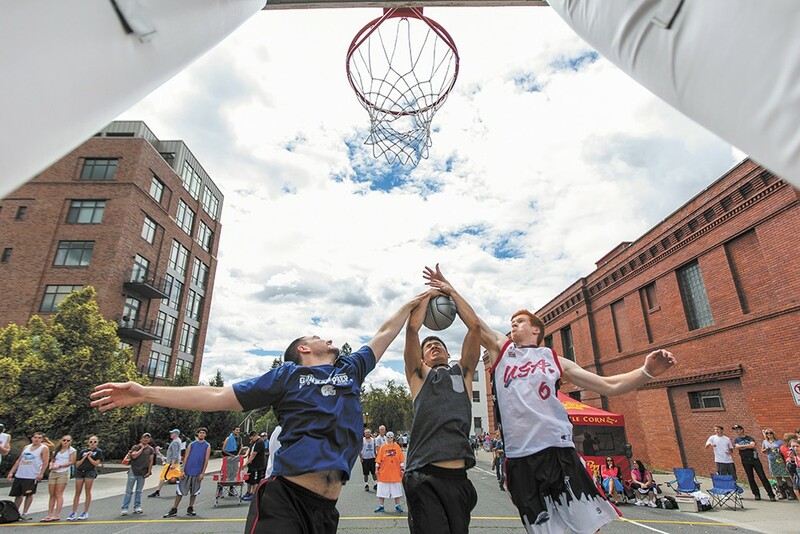 SPORTS & OUTDOORS | It's Hoopfest weekend, so plan accordingly! The fun starts on Friday with options including Spokane FanFest at the Spokane Convention Center, a celebration of all things Hoopfest with live music and food. Be sure to check this week's Inlander for all you need to know about enjoying the tournament on Saturday and Sunday. FESTIVAL | Summer means festivals all over the place. If you love cherries, you'll want to hit up the Prosser Cherry Festival Friday and Saturday. Down in Lewiston, it's the Valley Bluegrass Festival this weekend. FOOD | Strawberries are at their peak, so the Green Bluff Strawberry Celebration seems like a great way to throw down while you brave the heat and perhaps avoid the Hoopfest mayhem downtown. SPORTS & OUTDOORS | In Idaho, Sunday marks the Ironman Coeur d'Alene, a test for triathletes and a great reason to party down on Sherman Avenue as they finish.